When it comes to theorizing origins in an evolution framework, it’s on going project which never gets resolved. And every time a new solution is added to fix old ones, it is always treated like a major break through in the mainstream media. But it reality, their new solutions breed new problems. Take the moon for example, last time we heard the mystery of the moon had been solved and gave us a whole bunch of speculation which was layered with a whole bunch of jargon to prove it, this year we hear the new view has fixed the one. Confusing isn’t it? Questions: What are the ramifications of the Earth being so violent? How long will this model last before another is invented? All this is based on speculation because nobody saw the moon supposedly evolve. The Bible is the only witness for that. So do you call the ever-changing speculation science? Space exploration is science, we can and have learned a great deal from it. This is when you can build unmanned spaceship to explore planets and moons in our solar system and it’s not uncommon for direct evidence to falsify popular theories of evolutionary scientists. It will be fun once an unmanned spacecraft reaches Pluto! Because that will reveal a lot of direct science. So why are countries like the United States spending millions on speculation rather than focusing on direct science? Why are we not focusing more on space exploration rather than materialistic origins that goes around in circles? Let’s bring more science into our theories rather than using massive amounts of speculation that does science no good. One of the most remarkable phenomena happening in our solar system today, is Io where it continues to show massive volcanic activity. Io is only slightly bigger than Earth’s moon and is the third largest among moons orbiting around Jupiter. Planetary scientists are busy mapping its surface and are in the process of coming up with new ideas about what drives its activity. ► Io was mapped into 19 material units: plains (65.8% of surface), lava flow fields (28.5%), mountains (3.2%), and patera floors (2.5%) ► The distribution of plains units is geographically constrained: White plains (dominated by SO2 + contaminants) occur mostly in the equatorial antijovian region (±30o, 90o-230oW), possibly indicative of a regional cold trap. The research produces good evidence for creationism, which advocates a young universe which is not billions of years old. Not surprising that evolutionary Planetary scientists are forcing the data into the old-age framework rather than exploring questions like how does molten material erupt onto the surface without plate tectonics? And why are heavy elements seen in the ultramafic lavas remain near the surface rather than submerging deep into the interior billions of years ago? How would Io really look with all this massive volcanic activity on this small moon happening for billions of years? Is their answer, “stuff happens” because it happens? Walking along the lakeshore at night listening to the sounds of the water gently hitting the shoreline, then looking up to gaze at the moon. It dominates the night-time sky, controlling the tides, admired for its design from God, sparking curiosity on what it holds. As a young man, I dreamed of what it would be like to live on the moon and looking at the earth from there while exploring the utter most parts of it! NASA’s Lunar Reconnaissance Orbiter (LRO), now past its first year of operation, has revealed some interesting things, our moon is more complex than previously thought. Secular science outlets deem it’s age (4.5 billion years) as a foregone conclusion while creating a story about a late heavy bombardment 3.9 billion years ago from the asteroid belt, formulating the maria (seas) of lava, smaller craters from near-Earth impactors, and ongoing space weathering and regolith formation as the moon cooled down into the body we see today. A popular science site contained headlines like “NASA’s LRO Exposes Moon’s Complex, Turbulent Youth” while others like National Geographic contained “New Type of Moon Volcano Discovered” and science daily with it’s usual take, “Moon’s Craters Give New Clues to Early Solar System Bombardment.” All the reports agreed that these finding makes their story about the moon’s past more complex. As the data continues to get better, are planetary scientists headed in the right direction in learning about the moon’s origin? Are they getting any closer to a real explanation about the moon’s origin? Scientists in play now are at the stage of admitting more anomalies in the current paradigm which is considered routine in science. Only when these anomalies accumulate to the point of unwieldiness, or younger scientists enter the field with different ideas, can the paradigm get replaced. The current paradigm includes a time framework and numerous unproveable assumptions. Entrenched assumptions currently include the Age of the Solar System (4.5 billion years). However, the new data points to a youthful moon rather it’s assumed billions of years range. In that old age framework, the moon was suppose to be frozen, producing no activity or in other words, geologically dead. But Lunar Reconnaissance Orbiter showed scientists evidence to the contrary. The moon is still forming new surface features with incredible shrinking activity! 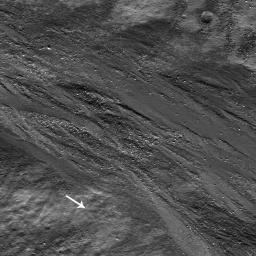 Also, the moon contains young-looking lava flows! Volcanism was assumed to have stopped billions of years ago on the moon. Crater-count dating estimates the lava flows to be only 2.5 million years – far younger than the ancient times when volcanism was supposed to have stopped. Some critics are quick to point out, this particular estimate is not 6,000 years and their old age framework just needs the data to be tweaked into it because at 2.5 million years with or without the possibility of it being younger, the old age story unravels and becomes useless to go by. Evolution of the moon (and everything else we see today) requires vast amounts of time! The fact of the matter is, the estimate is closer to what the Bible gives than what the story on how long it took to evolve! Why isn’t the moon dead if it’s billions of years old as predicted by evolutionary theory? How could gas and lava get to the surface if it’s suppose to be frozen out? Why does the surface differ so much from one area to the next? A host of many specialized conditions are then dreamed up to explain the anomalies. Scientists are often oblivious with their assumptions while spending time on paradigms. Faith without evidence is invoked with the anomalies which are mere puzzles to them that will be solved within a approved consensus. “Our Created Moon” by Whitcomb is an excellent book which explores the moon’s purposeful design. So when you walk outside at night and look up to the stars and observe the moon, not only think of it’s rarity and beauty but this reality, without God’s design, we couldn’t exist on earth! You might have heard this story, the moon is geologically dead because it contains no volcanos, no tectonic plates, no frost or wind erosion. There are no lakes or rivers either, therefore no water erosion. No living organisms that can change sedimentation, but all it has done through the assumed time frame of billions of years is shrink as it cooled down, yet the earth’s moon has defied such a prediction! Since “the scarps look crisp and relatively undegraded” why couldn’t they be as young as a few thousand years or so, or 100 years? The article did point out the moon shrank early on in it’s supposed long history! Interesting to note, the article also mentioned Mercury. Despite being smaller it’s lobate scarps are 100 miles high and snake across the surface for hundreds of miles which is much larger than the scarps contained on the earth’s moon! All they could say was the moon shrank less. Another evolutionary prediction falsified once again! Observations like probing the moons and planets is what we really learn from in science, the reason why we don’t learn from evolutionary predictions and other speculations is because they are using the wrong model to explain things and discovery after discovery bare this out. It takes more faith to believe in these evolutionary predictions than God himself. If one goes by a young universe model, these recent observations are not opposed to it at all in fact, it confirms it! Did The Moon Gives More Information About Evolution? In 1969, Neil Armstrong walked on the moon for the very first time. That particular mission (Apollo 11) was followed by five more missions. Many do not know this, the man behind the Apollo moon mission was a creationist rocket scientist named; Wernher von Braun. Now the moon missions were the result of the cold war competition and not surprisingly, President Obama did not mention any further exploration of man in space during his speech during the 40th year celebration of the first landing on the moon. Ward omits detail on how the moon’s rock is connected with the origin of human life on earth. Currently, there are a few theories concerning the moon’s origin in evolution. Every single one of them has major flaws which is one of the reasons why they haven’t settled on one particular hypothesis yet. Impact Theory – Excess angular momentum is a major problem for this theory. 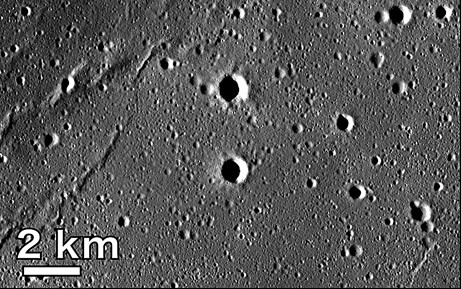 Calculations show that to get enough material to form the moon, the impacting object would need to have been twice as massive as Mars. Fission theory –This theory was was tossed years ago because the earth could never have spun fast enough to throw a moon into orbit, and the escaping moon would have been shattered while within the Roche Limit. Capture theory -The moon being captured by Earth’s gravity is not practical even it there was such a miracle, the moon would be in a elongated comet-like orbit. Condensation theory –no dust cloud could be dense enough, and it doesn’t account for the moon’s low iron content. So did the moon give us more information about evolution? The answer is “no” but it did create more questions than answers for evolutionists. The moon of course was designed by God, and it does what it’s suppose to do in a precise way, the study of it is quite interesting! Much attention has been paid to Mars, and Saturn but the moon reveals a nice amount interesting features as well! Some of which should be explored in more dept over time. A Japanese lunar satellite KAGUYA found volcanic rock which evolutionists have estimated is about 2.5 million years old. According to the evolutionary model, the moon was suppose to cease it’s lunar volcanism a few billion years ago. The hypothesis says, the moon would have cooled down enough over a span of 1.5 billion years to supposedly freeze out any lunar volcanic activity. Evolutionists are now scratching their heads with this new discovery of the moon which may in fact cause some modifications in their model. The implications are enormous as so-called evolutionary theories need massive amount of time. It’s the only framework they follow religiously. To observe younger features on the moon which are much younger than the so-called theory allows, destroys the requirement of a very long naturalistic process. It’s true, if the moon was active for a period of time, the coldness of space would eventually freeze the heat energy solid. There is no dispute there, it’s basic physics. It’s like when you have a cup of coffee in the morning and then let it sit in a room for a while. Eventually the heat from the coffee dissipates reducing itself to room temperature. Same concept with the moon, it’s hard to believe that for more than 4 billion years the moon has been sitting in the cold while erupting with lava until 2.5 million years ago. 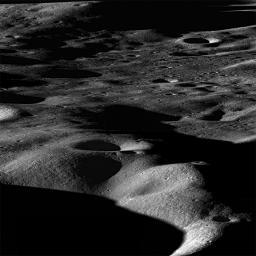 I believe, moon exploration is so badly needed. Not only could it be a great source for potential alternative fuels such as helium 3 depending upon what is actually found and innovation, but we would also have important data from the moon to evaluate and glean from especially in the area of creation science! While it’s true that the moon is not as glamorized as looking for little green men on Mars is. Oops, I mean little blobs of possible microscopic alien life forms. Now I’m not saying exploring Mars is a waste of taxpayer’s money, because there is certainly some value in learning about the planet. But I believe the moon being closer with more potential to help mankind, and just the exploration of man being there in person is way better!